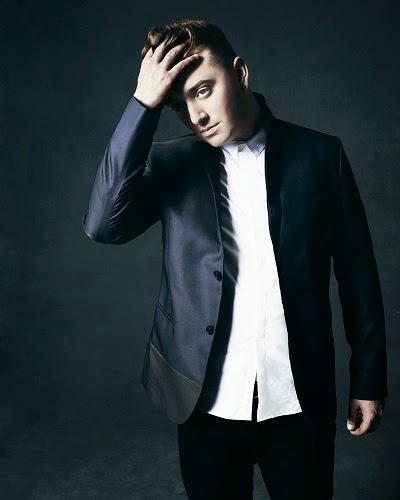 SnapCacklePop: Sam Smith sells millions in first year..! Sam Smith sells millions in first year..! Smith's In The Lonely Hour passed the 1 million landmark in the UK last week, making it only the second artist album to reach the landmark this side of the Atlantic, which follows the confirmation 24 hours after his album was confirmed a million-seller in the United States. Sam told OfficialCharts.com: "OFFICIALLY sold 1 MILLION copies of In The Lonely Hour! To say I am ecstatic is a huge understatement. Thank you so much to every single person who has purchased my album." Smith’s album has only been surpassed in the UK by Ed Sheeran's X which hit the milestone at the end of November, then in the US, only Sam Smith, Taylor Swift and the Frozen soundtrack have passed the million-mark this year. Official Charts' Chief Executive Martin Talbot, said: "Many festive congratulations to Sam. To hit a million anywhere is impressive, but to become the only artist in the world to do so on both sides of the Atlantic is quite remarkable. His journey in 2014, from unknown newcomer winning the Brit Awards' Critics Choice award to internationally renowned double million-seller, has been incredible." The BPI's Gennaro Castaldo added: "It's proving to be another amazing year for British artists, who are not only dominating the charts at home but continue to fly the flag for British music around the world. Like Ed Sheeran, Sam Smith is enjoying an absolutely stellar year, but for him to sell a million copies of his debut album in the UK and, remarkably, the US within the same 12 month-period that he collected his BRITs Critics Choice Award is a truly outstanding achievement. British music has unearthed another great talent that has all the makings of a global superstar, following in the traditions of Amy Winehouse and Adele.". Sam's album has also spawned a string of successful singles, including Number 1s Money On My Mind and Stay With Me, as well as Top 10s I'm Not The Only One and Like I Can. We are going to end this article the way we have since discovering the amazing talents of Smith by saying "We found he first" and "Told you so" - childish we know. Grab your copy of the only hour on iTunes now..!